Following my visit to the Carmel Caves at the Nachal Me’arot National Park, I got on a bus heading south and ended up – quite accidentally – at Tel Dor. 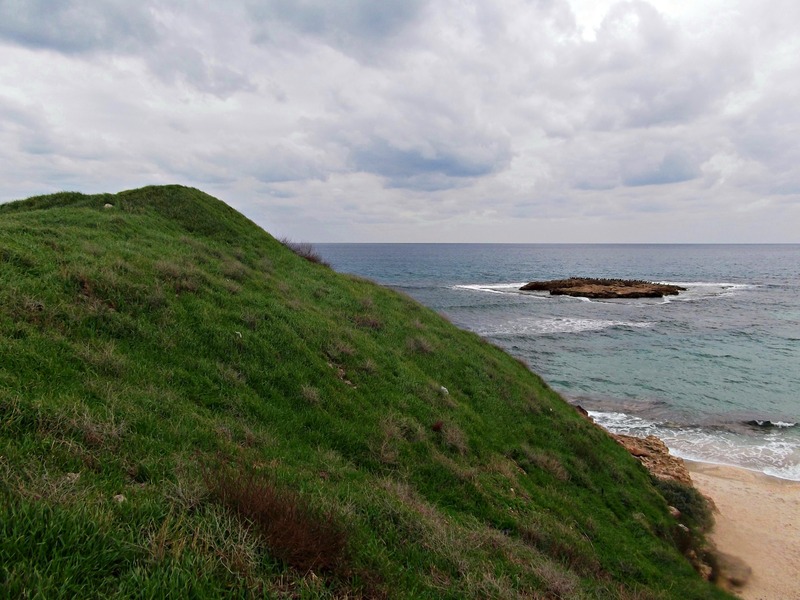 I had intended to find my way to Cafarlet, an impressive Crusader castle on the side of the Coastal Road (Road 4) but, alas, I overshot and found myself looking at the hilltop ruins of Tel Dor from across a picturesque little bay some 30 kilometres south of Haifa. 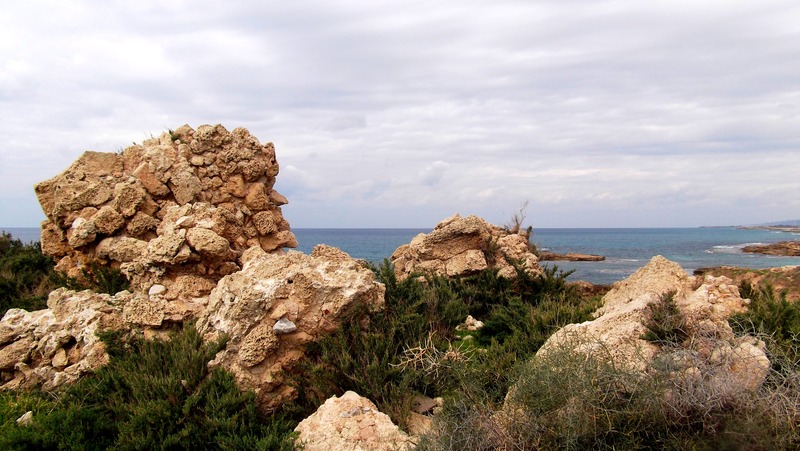 Set in such a beautiful place, nestled between tall coastal grass and the relatively calm Mediterranean Sea, the sun played a frustrating game of hide-and-seek as I toured the archaeological site. 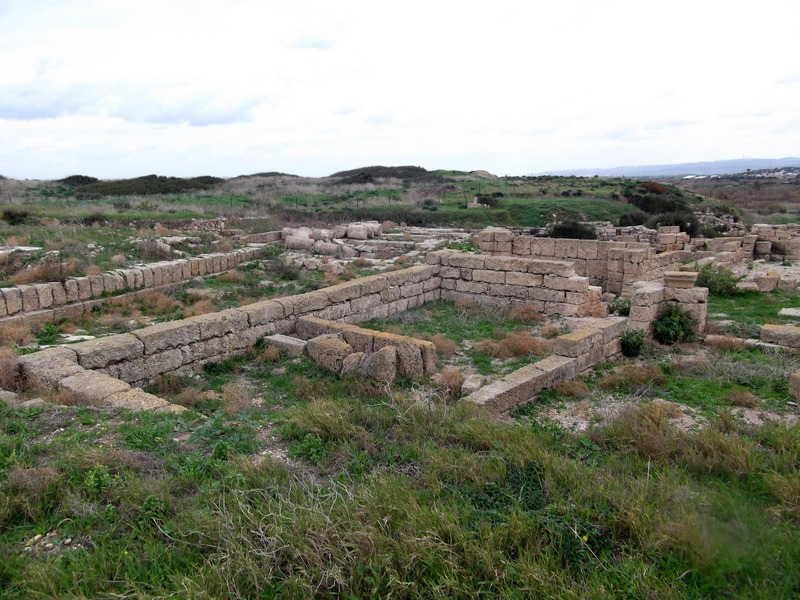 Climbing up the tel, I came upon the hilltop remains of the storehouses and public buildings which serviced the port, and the acropolis. 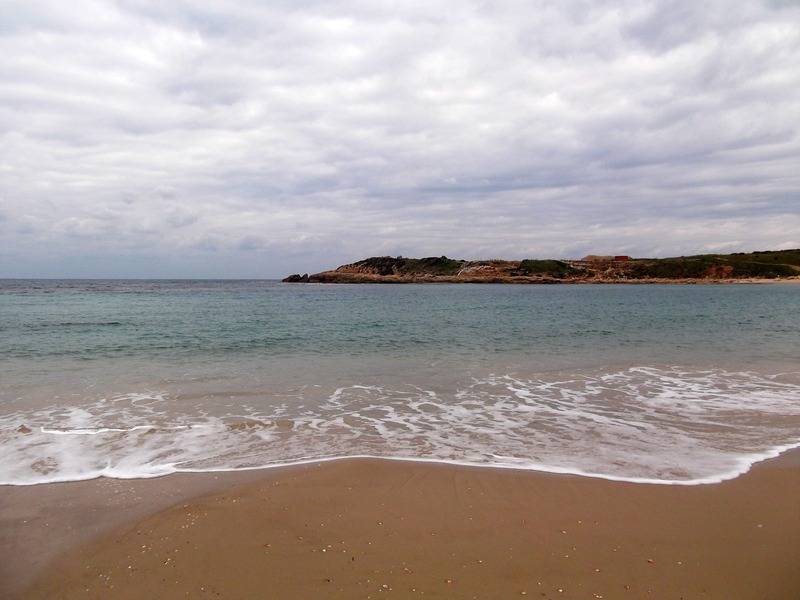 Continuing to the end of the small peninsula, I came upon the meagre remains of a small Crusader stronghold, the Merle Castle, built and owned by the de Merle family of French nobility. 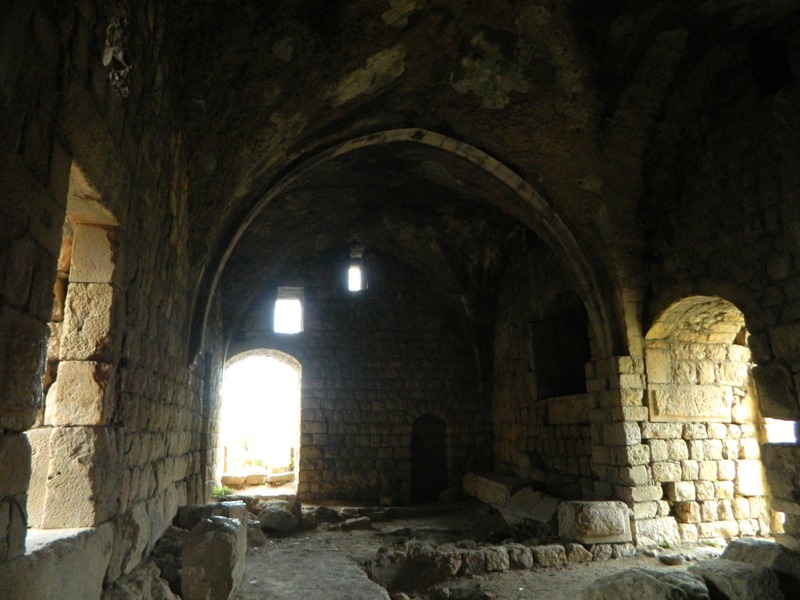 In 1187, Merle Castle was conquered by Saladin and by the end of the century, the Templars took command of the stronghold. And at the far end, where rock and water clash in the harbour area, there are numerous interesting cuttings made, some underwater even. Deep troughs, large squares and more gouged out of the rock, used perhaps by the Athenians as their important port city in the Levant. After a little snack I turned back to the ruins, looking down at the remains of a large Roman temple which sat at the water’s edge. 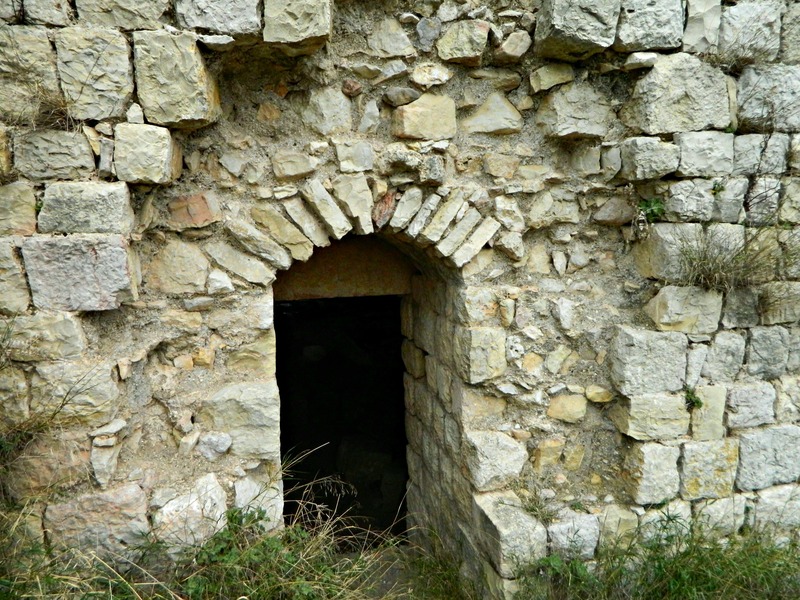 The Romans built up Dor, or Dora as they called the place (i.e. Doric columns), by Pompey’s lieutenant Gabinus, creating an autonomous port city similar to Gaza and Yafo (Joppa) in those times. 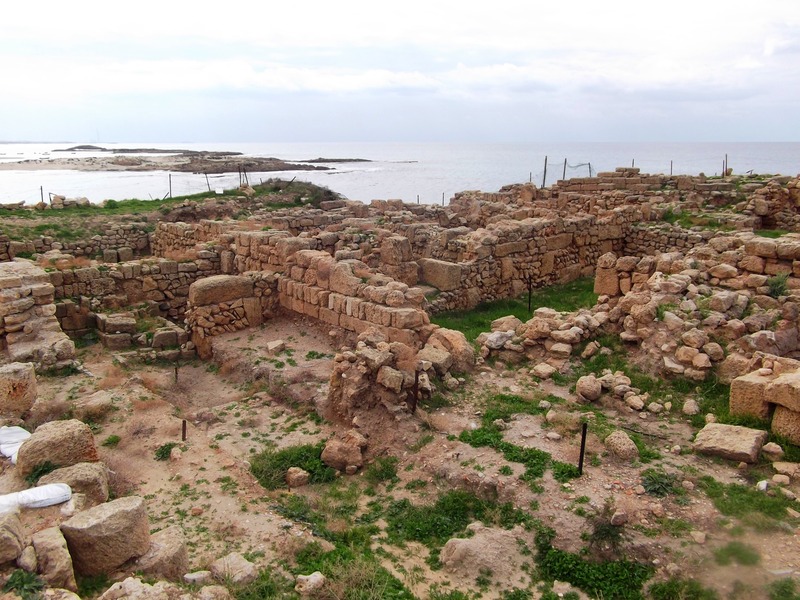 When rule was transferred over to King Herod some 2,050 years ago, Dor became overshadowed by neighbouring Caesarea whose harbour was deeper and thereby a better choice for a port. 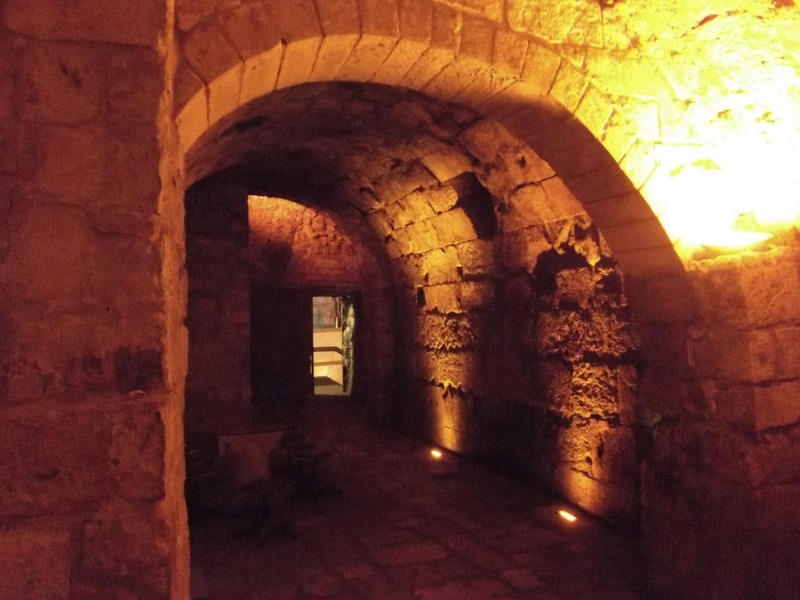 By then Dor became a less important regional city and, excluding the Crusader stronghold and the site of French emperor Napoleon’s camp after retreating from their 30-day siege on Akko in 1799, became a place of the past. 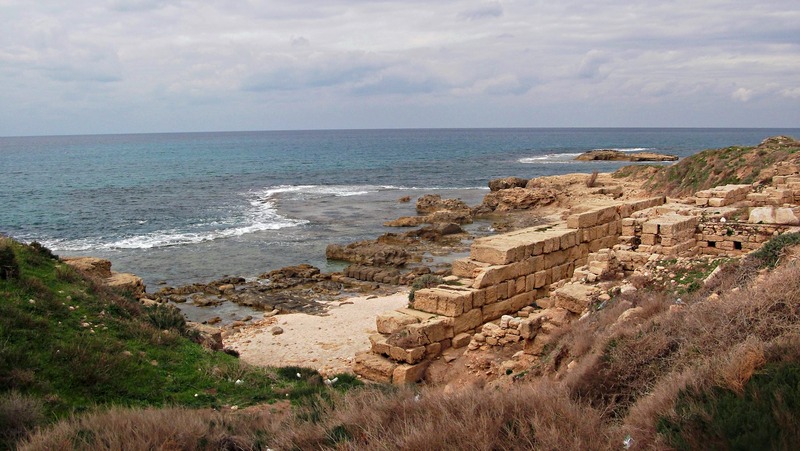 Walking along the coast, the ruins quite literally fallen into the water similar to the ruins of Ashkelon, I passed by the docks and the continuation of public buildings (such as a bathhouse). 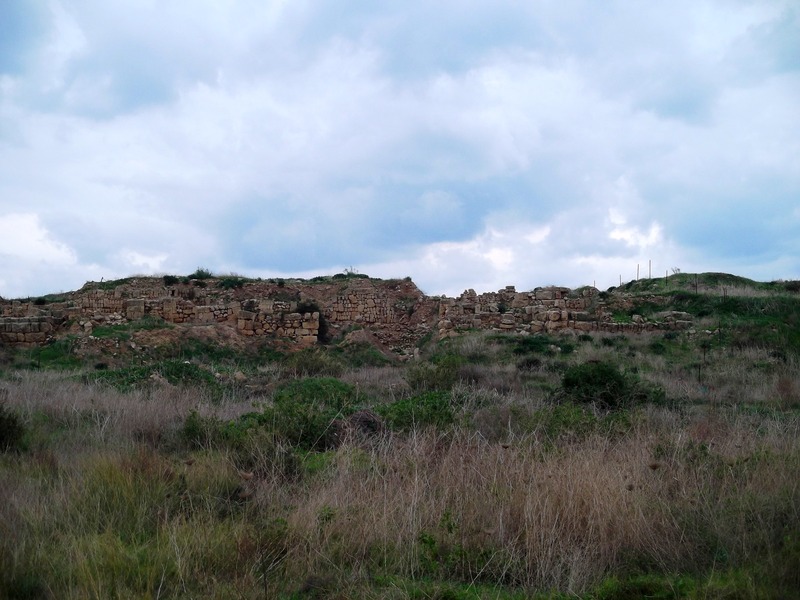 At the northern end of the site, climbing back up the tel, I retraced my steps and then walked south-east towards the scattered remains of the residential areas of Tel Dor. 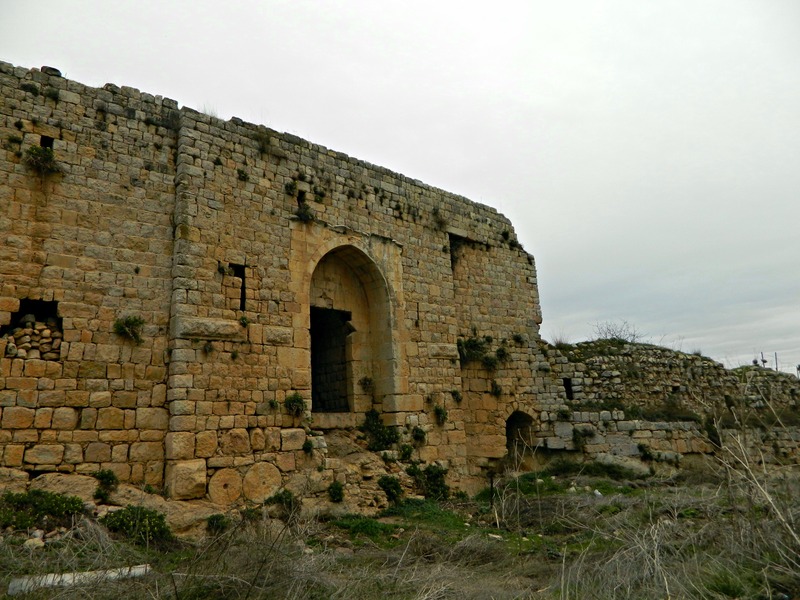 Leaving the tel and pressing onwards, heading northbound for the Crusader fortress Cafarlet, or HaBonim. Walking through an abandoned basketball court adorned with graffiti I looked back at Tel Dor and noticed yet another residential area overgrown with vegetation. Consulting Google Maps on my phone I attempted to navigate my way towards the railway tracks, and then the Coastal Road. 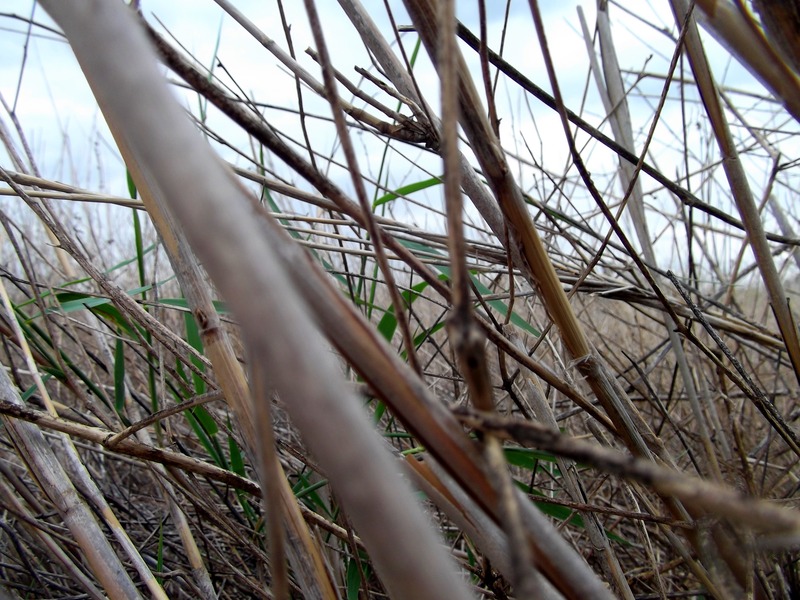 However, after getting distracted by marsh-loving birds I found myself on the banks of a fish pond, a small lake. Wandering around the fish ponds and the semi-abandoned agricultural farms of Kibbutz Nachsholim, stopping to bond with some friendly donkeys, I eventually reached the railroad. 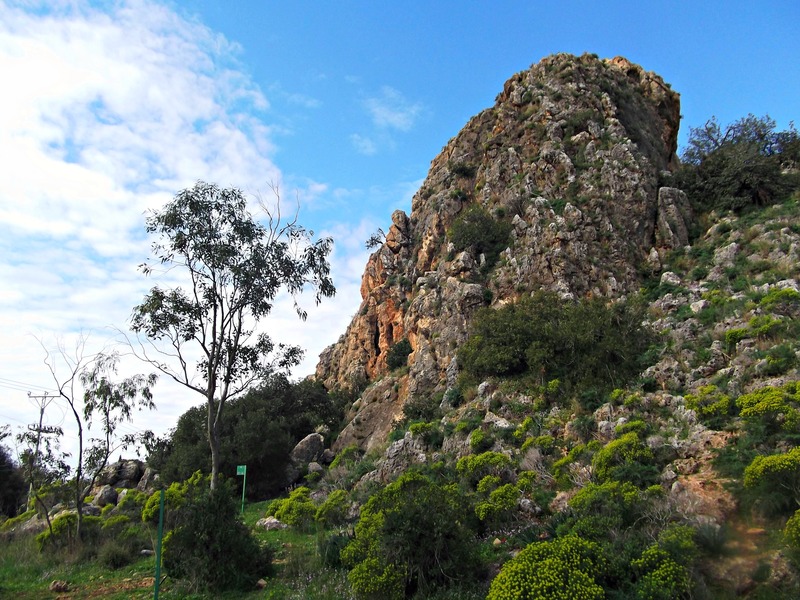 Climbing all over the rocky hill where the Coastal Road slices through towards Haifa, not entirely sure where I was to find the fortress, I kept walking and walking… Up next, Cafarlet. 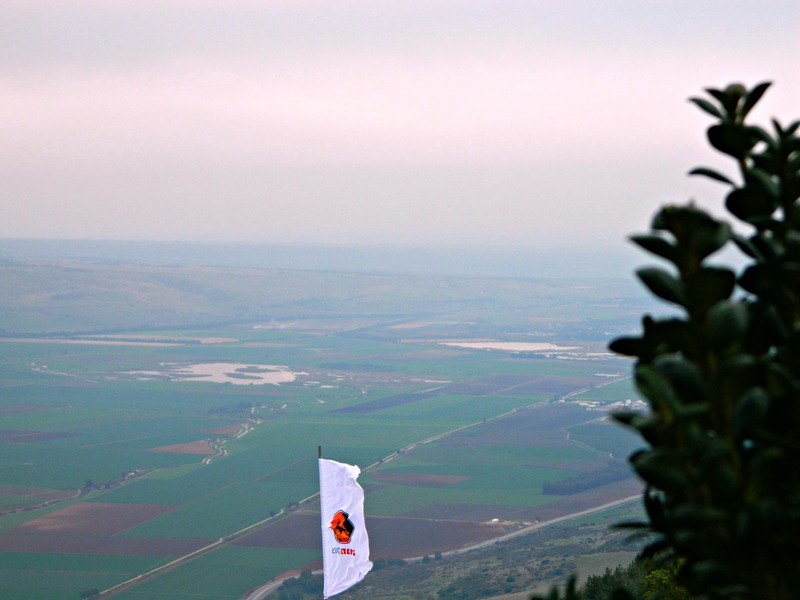 Just two days after the day trip to the Upper Galilee with my sister, I arrived on base and was told that I can have the day off. 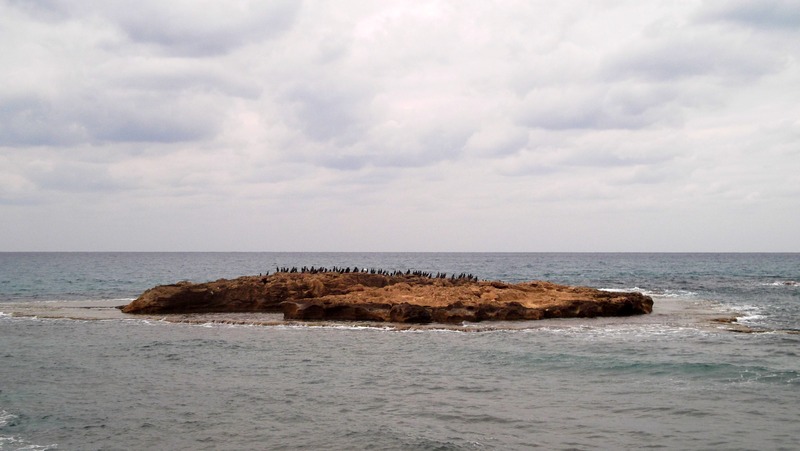 A tad dismayed that I had to travel two hours to get the news, I decided to salvage the day by going on a little adventure along the coast between Atlit and Caesarea – close by and chock-full of interesting sites. 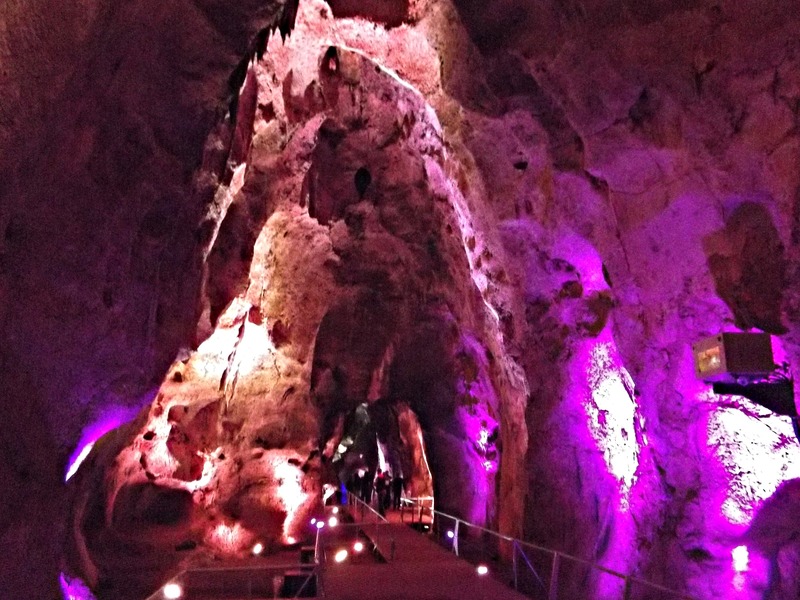 The first place I decided to visit was the Carmel Caves, part of a national park I’ve been wanting to see for years and one that I’ve passed by literally hundreds of times. I got a ride from a friend to Atlit Junction and then took a bus the rest of the way. When I reached the Nachal Me’arot (River of Caves) park I could already see the raw cliff sides over the banana fields. 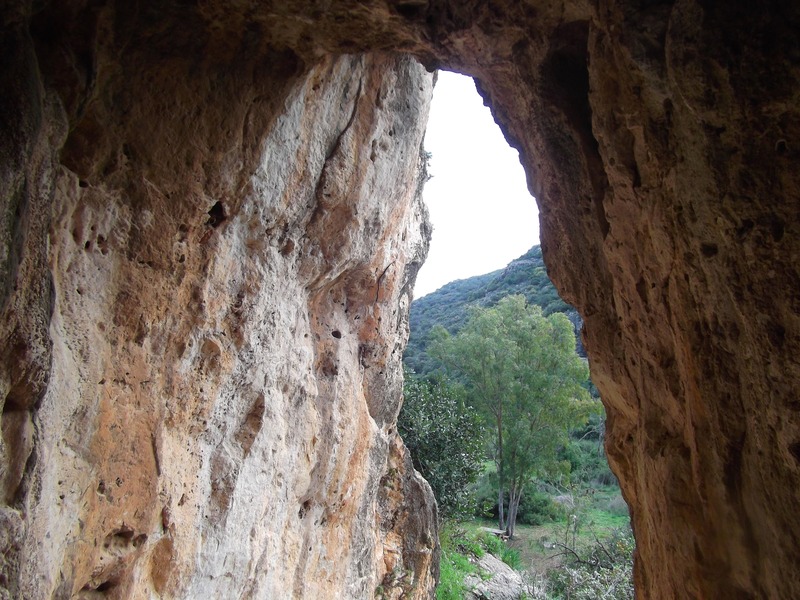 I entered the park and inquired as to the length of the cave route. To my surprise, the lady behind the counter told me it would take about 45 minutes in total, maximum. 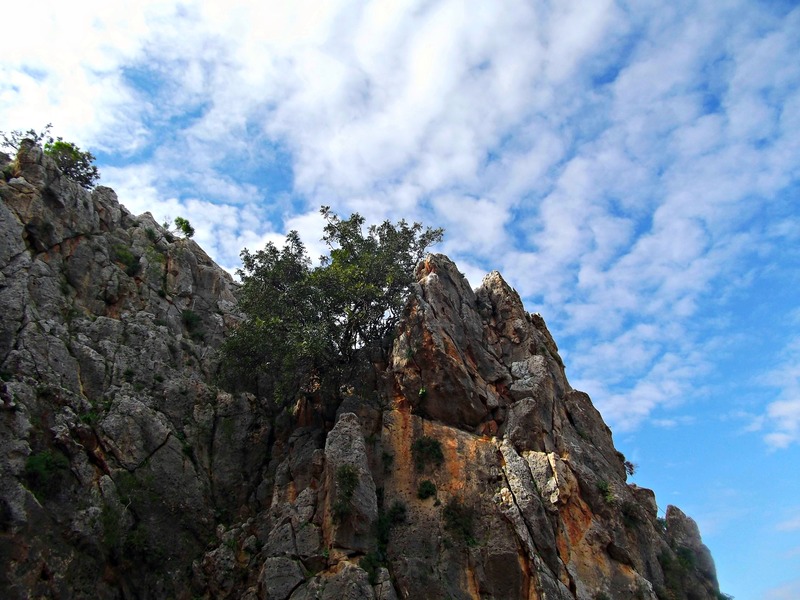 To the base of the cliff chunk I went, looking up at this distant section of Mount Carmel. 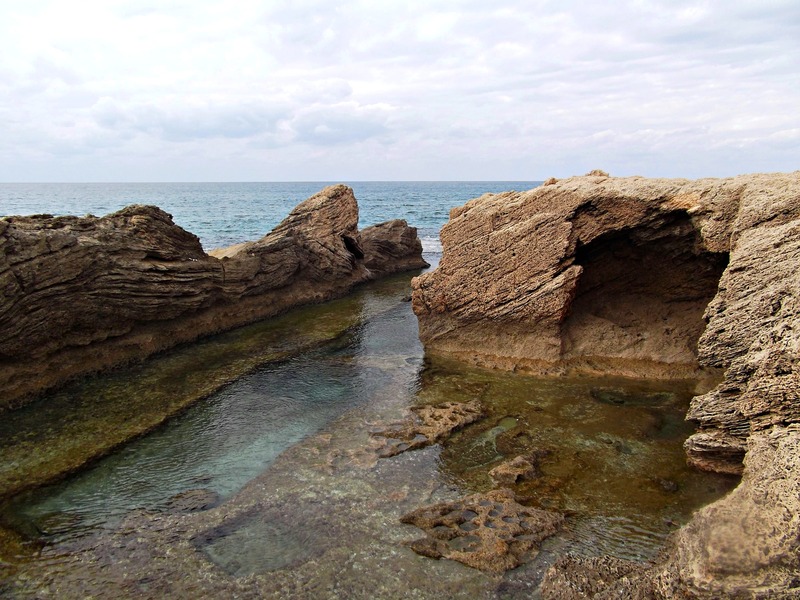 Essentially a large triangle jutting out into the Mediterranean Sea, Mount Carmel is a small mountain range containing several national parks including Nachal Me’arot which slices through the mountain. Climbing up the stairs to the caves, passing by a strange sign warning visitors not to linger on the steps, I reached the first cave, the Tanur Cave. 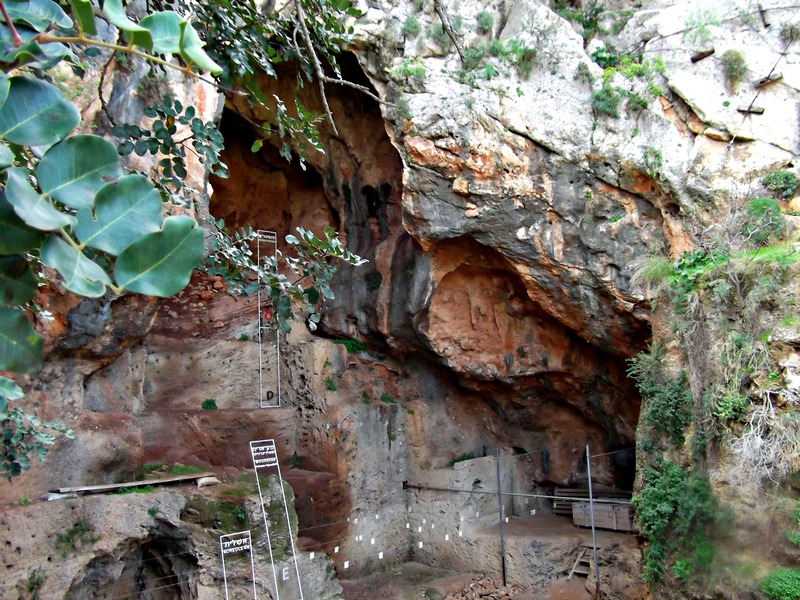 I think as far as caves in Israel go, my favourite is still the watery tunnel at Nachal Kziv. 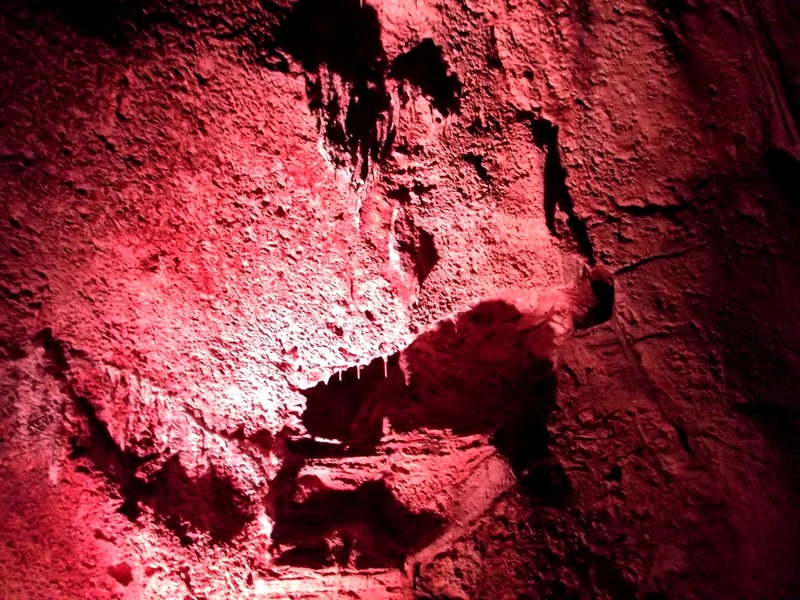 However, this cave delivered more in regards to stalagmites and stalactites. 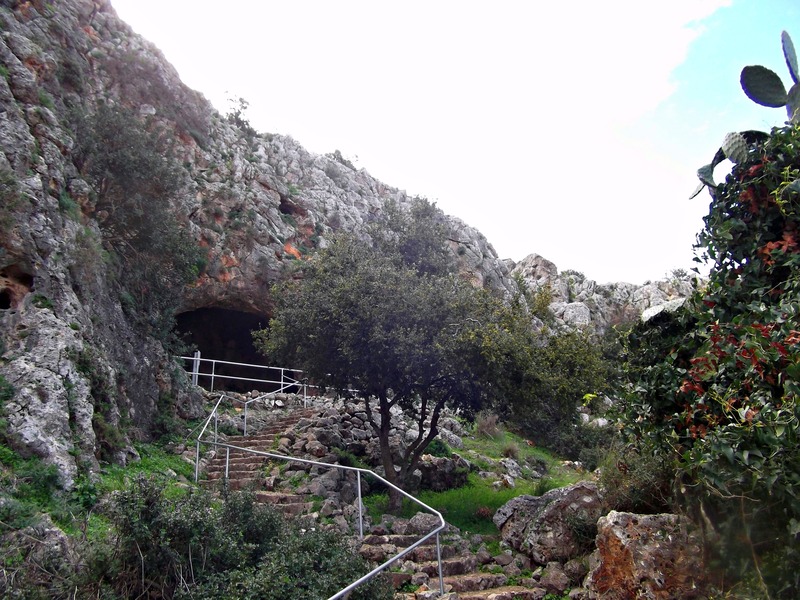 I have yet to see the Soreq Cave near Bet Guvrin… Upon leaving the Nachal Cave I crossed the dry stream-bed of which the park is named after and approached the opposite cliff wall – the “Finger” Cliff. Not wanting to go on any extended hiking trip at the moment, partly because I was wearing my uniform and partly because I had a day full of sites to visit, I left the park and then took a bus to my next destination, which quite honestly was an accidental find. 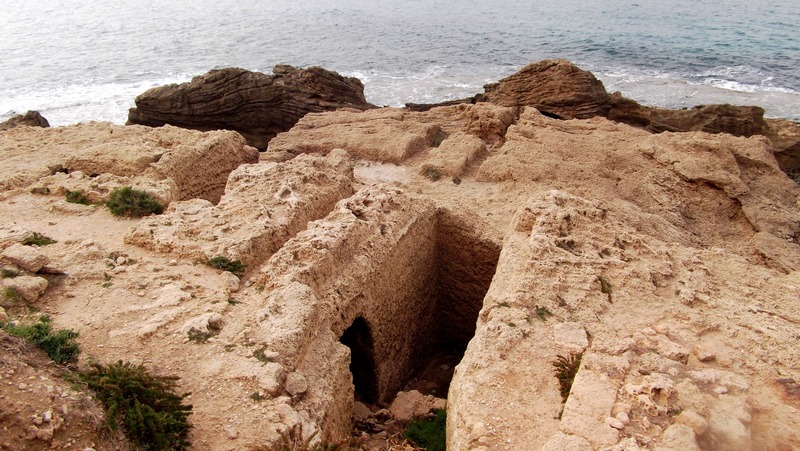 Up next, the coastal ruins of Tel Dor. Another break in the traditional chronological format of my blog, this past Monday I went on a unique little educational army trip to the capital city, Jerusalem. As I’m currently attending a Hebrew language crash course, or “Ulpanit”, I was accompanied by a small group of new friends: fellow classmates and teachers alike. Leaving our base near Ben Gurion Airport, we entered the Holy City and began our tour with the old neighbourhoods of Mazkeret Moshe and Zichron Moshe (if I’m not mistaken). 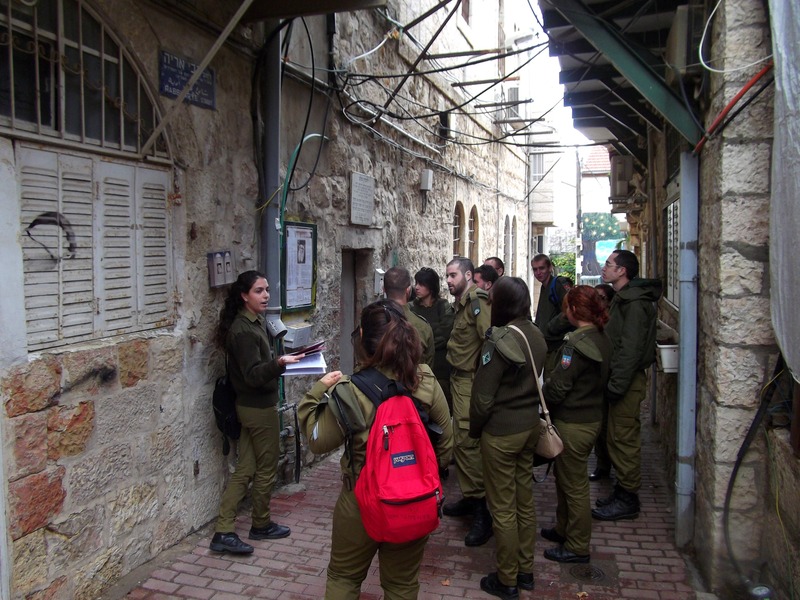 Walking through the quiet residential areas we learned the history of these streets, and who lived on them, from our Educational and Youth Corps tour guide. We learned how these neighbourhoods were inhabited after a realisation that there simply wasn’t enough room for the Jews in the Old City. 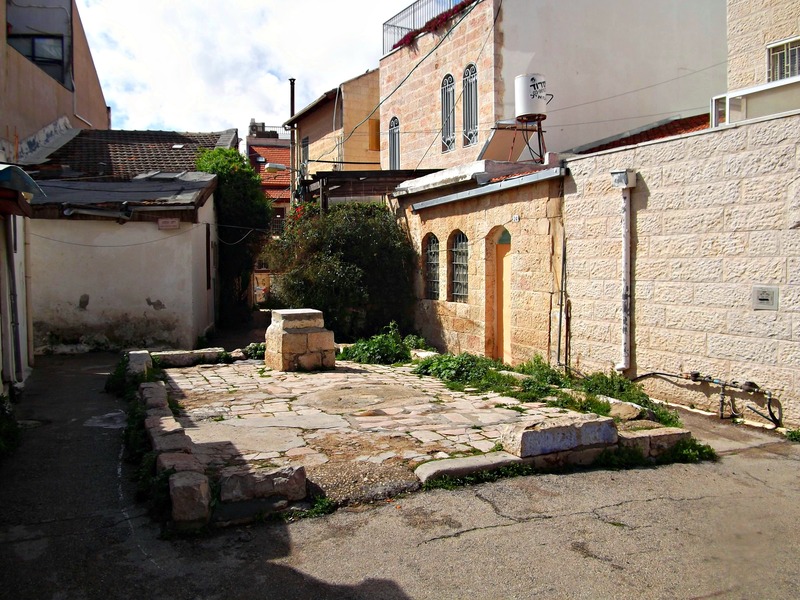 In all the times I’ve been to Jerusalem, including the eight blog posts I’ve written about this holy city thus far, I’ve never seen nor heard about these little neighbourhoods. Then again, there’s a lot I haven’t seen in Jerusalem. 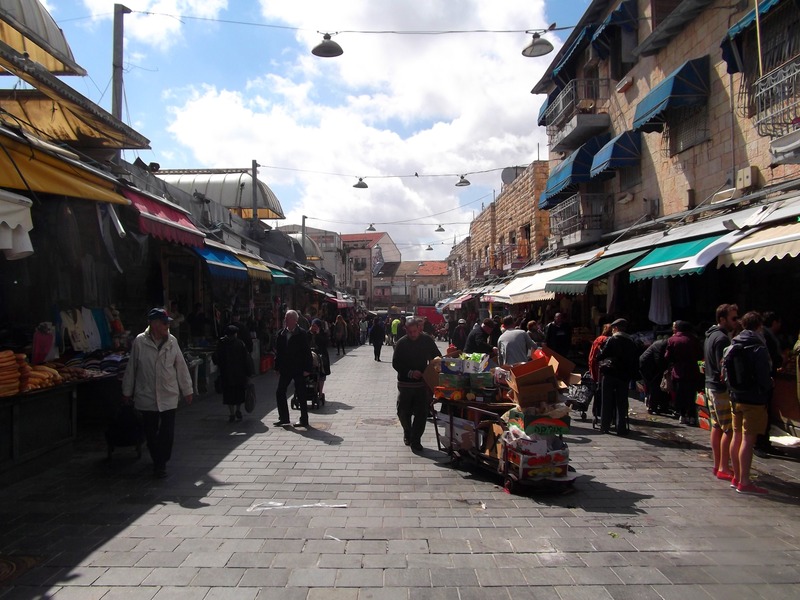 Bordering these neighbourhoods to the north is the famous Machane Yehuda shuk – a large marketplace which really comes to life every Friday. We stopped there for a few minutes and I got a falafel. 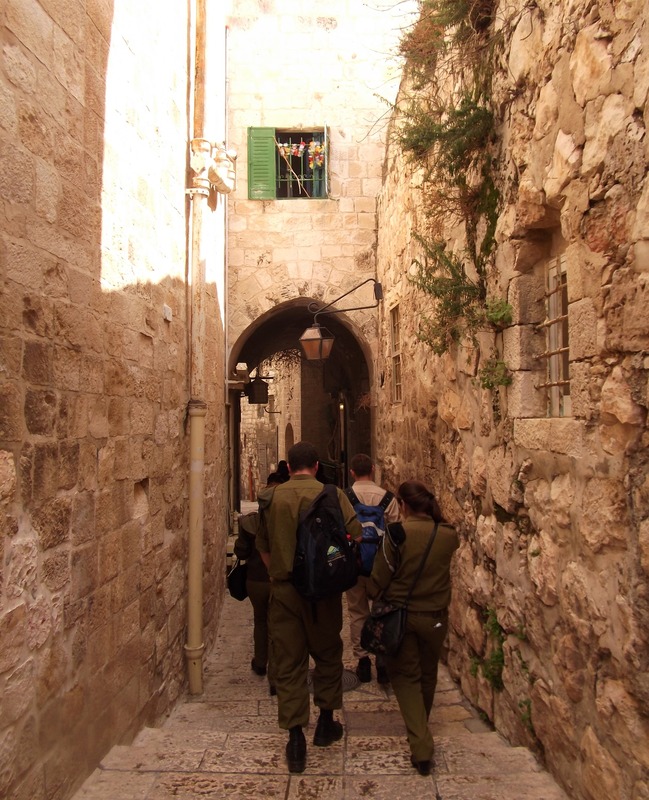 Getting back into our Mercedes-Benz minibus, we headed for the Old City and disembarked near the Jaffa Gate. Outside the walls, overlooking Mamilla Mall, we posed by a globe sculpture, symbolic of our collective status as immigrants. 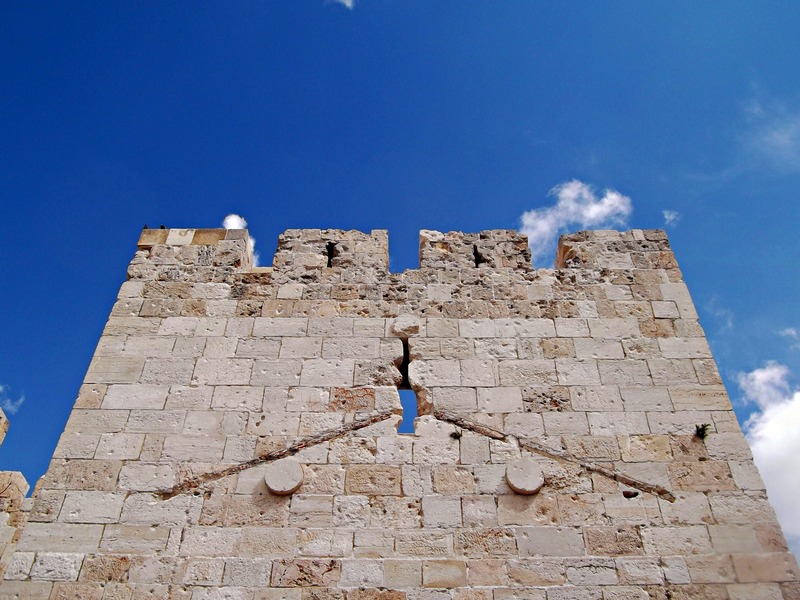 We then continued into the Old City entering via the Jaffa Gate, being told that the angled lines in the stonework below was intended to resemble the roof of a house – a story of homesickness. Within the Old City, our guide took us through the Armenian Quarter, snaking our way through narrow corridors and under graceful arches. We climbed up onto a large rooftop and I realised that I had already done this exact segment years back when I was in regular Ulpan. We were pointed out the rooftops of various religious buildings around us, including the Dome of the Rock’s golden dome. 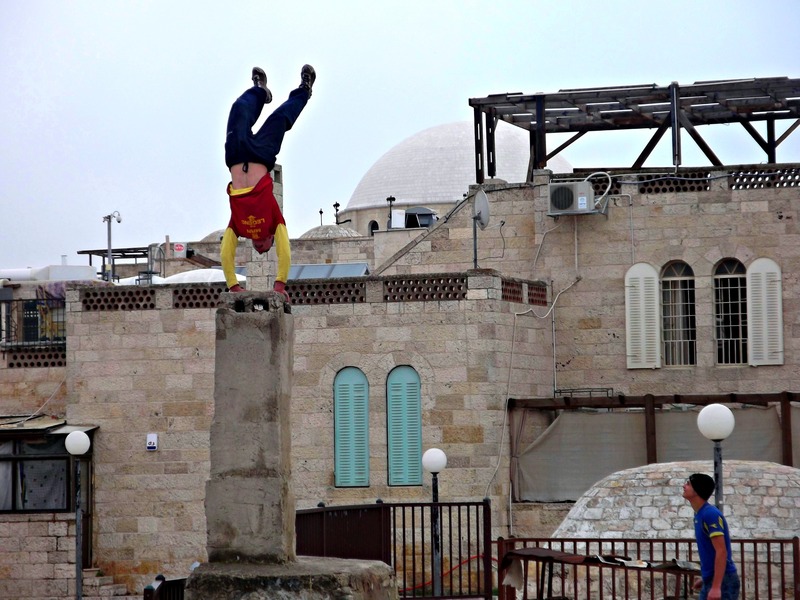 In middle of our geographical lesson we were distracted by a small group of Arab youth who were leaping about performing some form of amateur parkour before a larger group of tourists. Next we found ourselves in the Cardo, the ancient main thoroughfare which was once lined with merchants and traders. 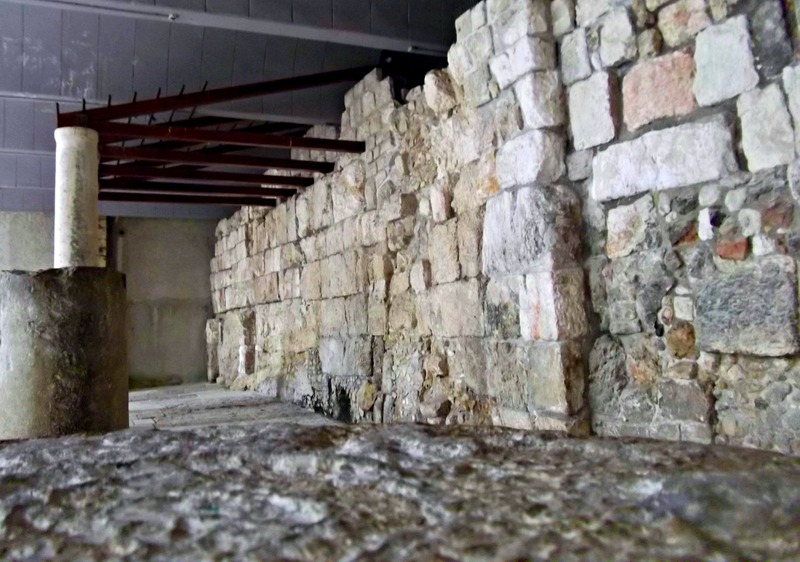 Today, only some of the walls, pillars and floor can be seen – a far cry from a bygone glory. 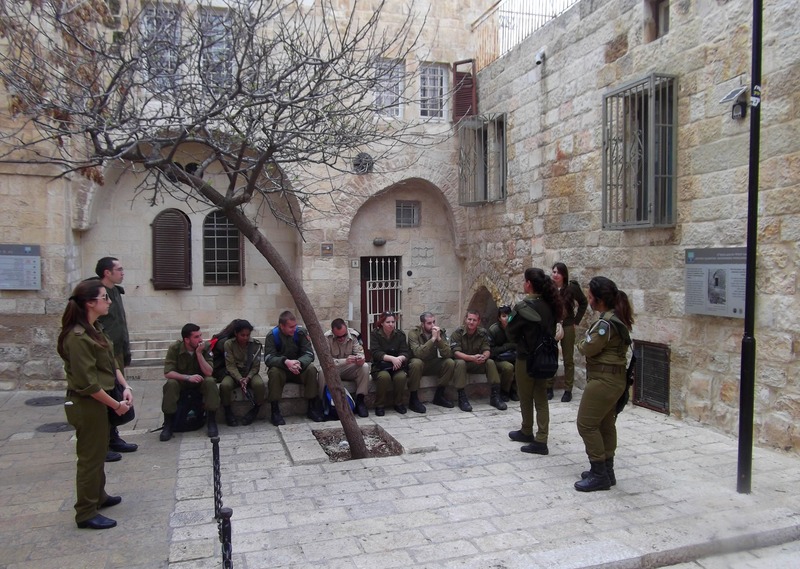 After the Cardo, inching ever closer to the Kotel plaza, we sat down to hear about a memorial hearkening from the days of the Jerusalem’s reconquering. 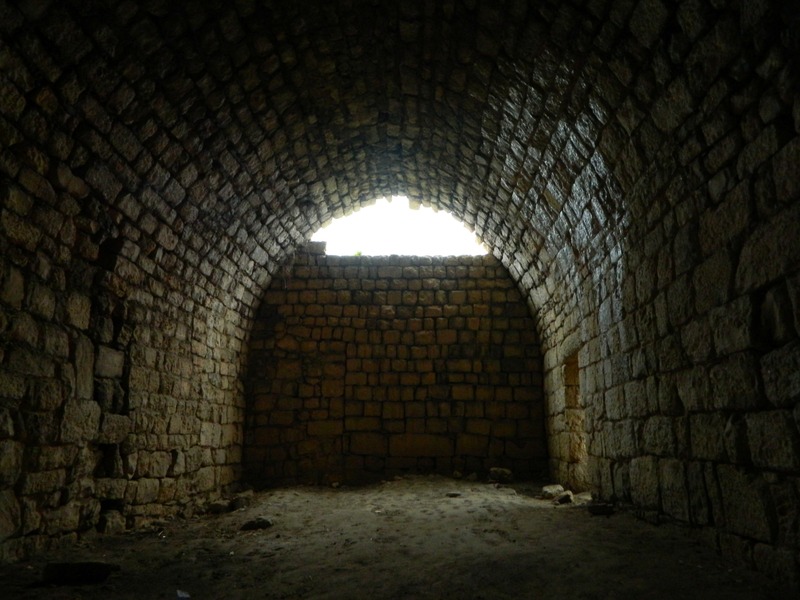 Throughout the raging battles for the Old City during the Six Day War, soldiers and civilians alike fell in battle but were unable to be buried due to the “siege” laid out by the surrounding Jordanian army. With no other options available, the living were forced to bury the dead temporarily within the city. 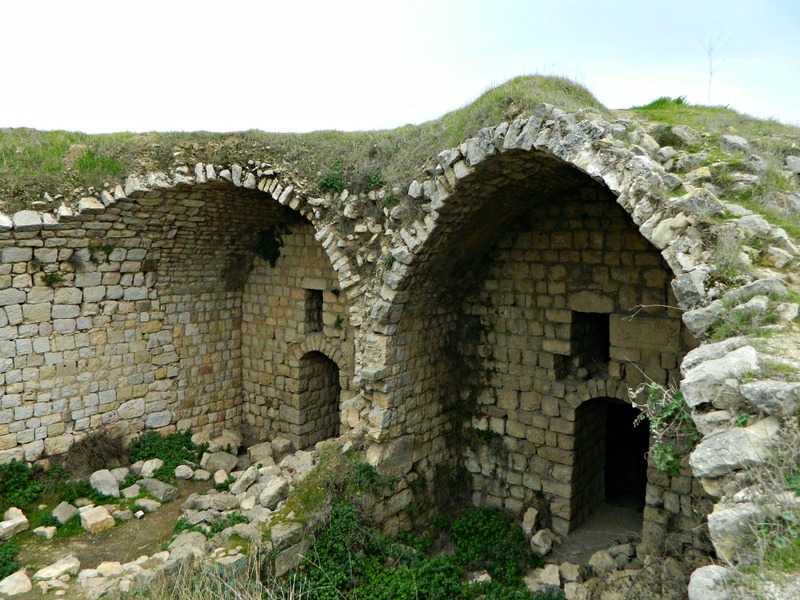 After the paratroopers broke through and reclaimed Jerusalem, the bodies were transferred to cemeteries outside the Old City. A memorial replaced the grave and has remained there to this day, occupying a small corner near the Batei Machseh plaza. 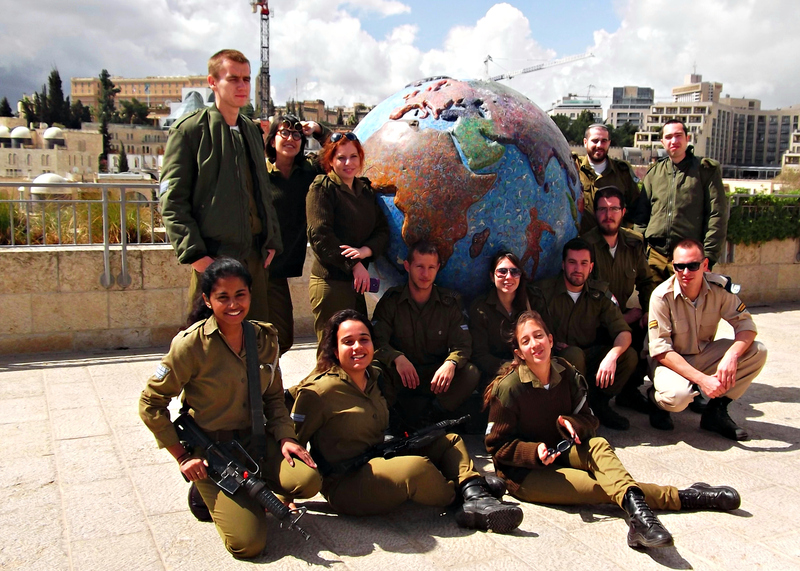 Shortly after we ended up at the Kotel and then headed out to our minibus to be whisked off to lunch at the Israel Air Force’s Talpiot Program cafeteria at the Hebrew University. After lunch we attempted to re-enter the Old City where we ended, at the Kotel, but instead spent a while circling the Old City and driving through East Jerusalem. 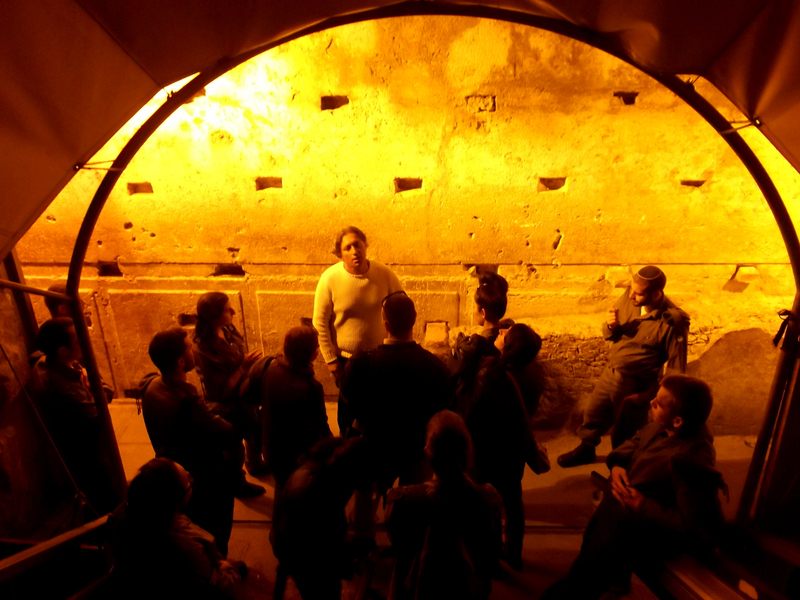 Eventually we disembarked and entered through the Dung Gate and then descended into the earth for a quick run at the Kotel Tunnel tour. 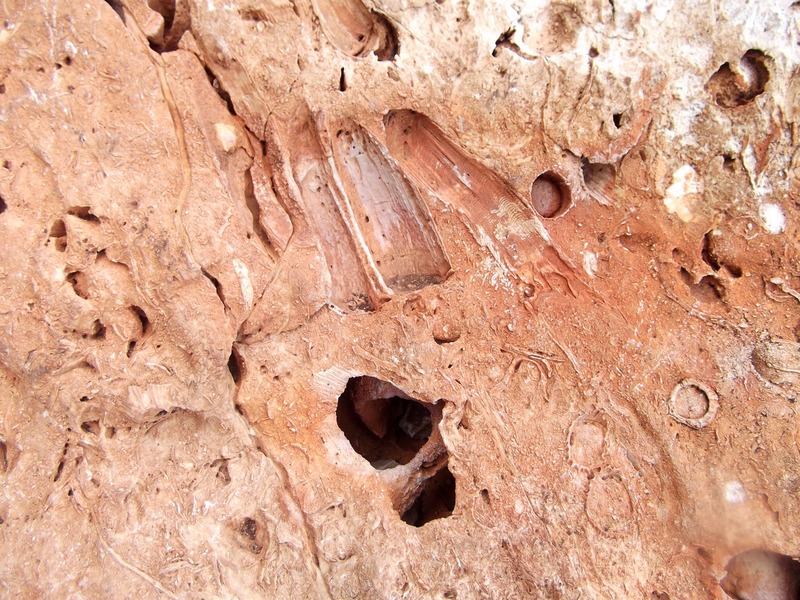 The subterranean excavations are, for want of a better word, fascinating. The incredible richness of the history of the Temple Mount can scarcely be appreciated with just a glance at the prepared archaeological findings. Every little while there is yet another deep plunge into the days of yore, the ancient stonework illuminated in a mellow yellow light. I think I’ve done the Kotel Tunnel tour twice before this trip and yet each time feels new. Our interesting tour guide, replacing the soldier who departed earlier, led us into the long causeway that runs the length of the Western Wall – the full wall, not just the small iconic section seen above ground. 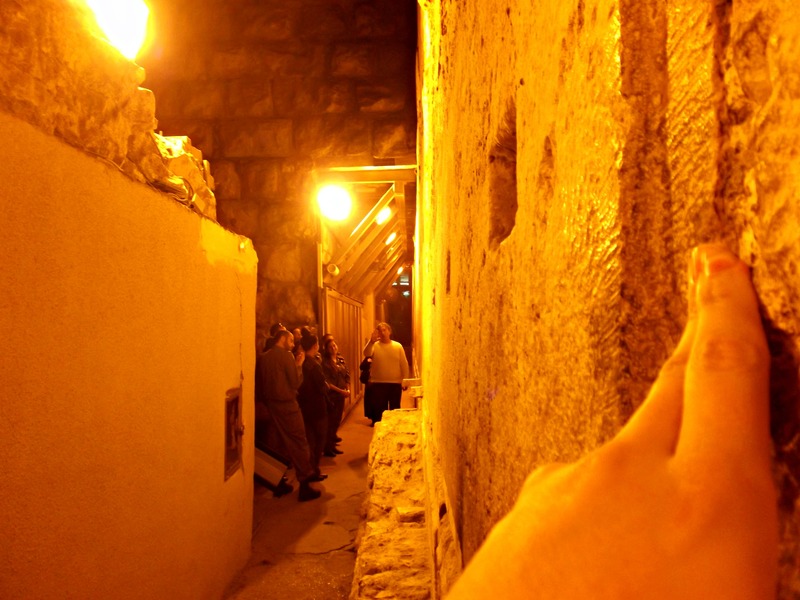 Continuing down the tunnel, hugging the Western Wall, we arrive at the place directly opposite the place where the Holy of Holies once was – a holy place, of course. With that our guide bid us farewell and encouraged us to pray while we were here. 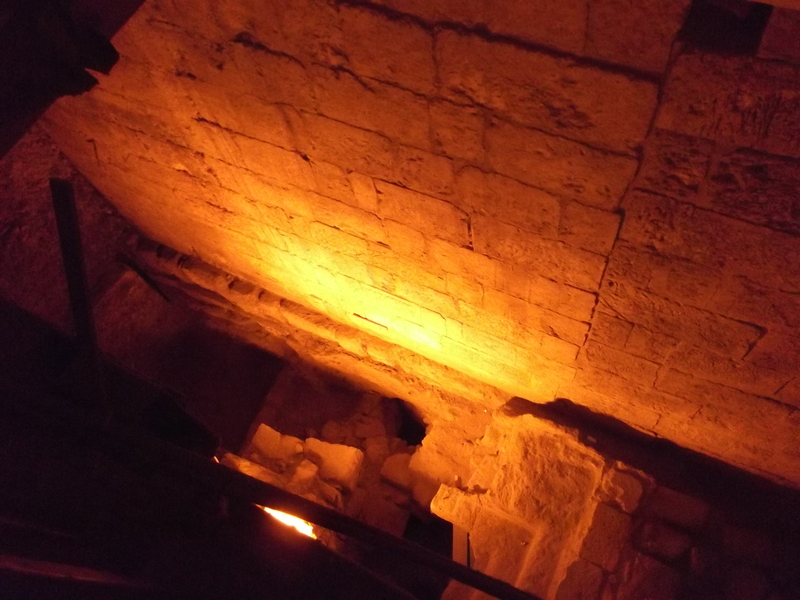 Upon prayer completion we headed out of the tunnel, back up the numerous sets of stairs and out into the Kotel plaza. There we photographed and were photographed, even providing excellent photos for a large group of schoolgirls from England. With the sun setting we got into our minibus one last time and headed back to the base. Gotta love free army trips! 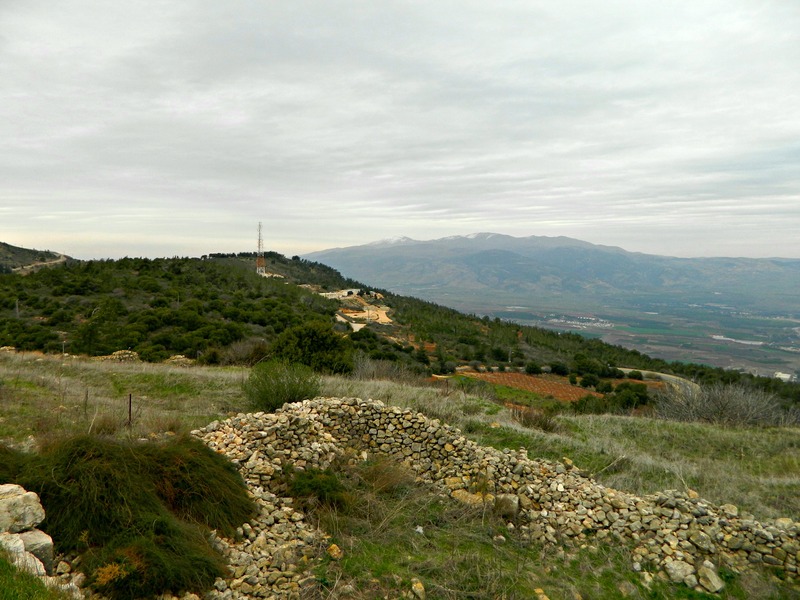 After leaving the Manara Cliff we headed just a tad further north, still along the top of the mountain ridge, to the outskirts of Moshav Margaliot where ruins of a Crusader castle are to be found. Called Hunin Fortress today, the small castle was built just after the success of the First Crusade during the years 1106-1107. 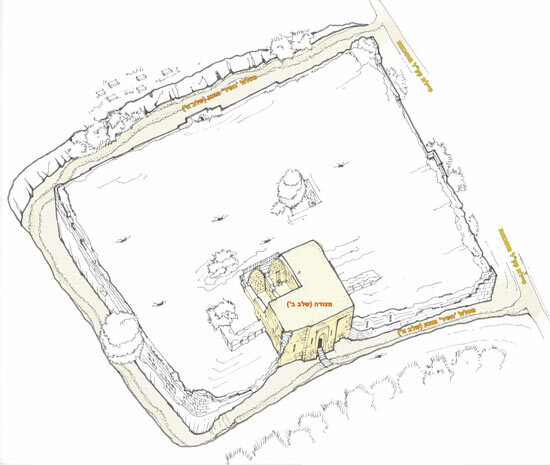 Then, the castle was referred to as Château Neuf (in French) or Castellum Novum (in Latin). 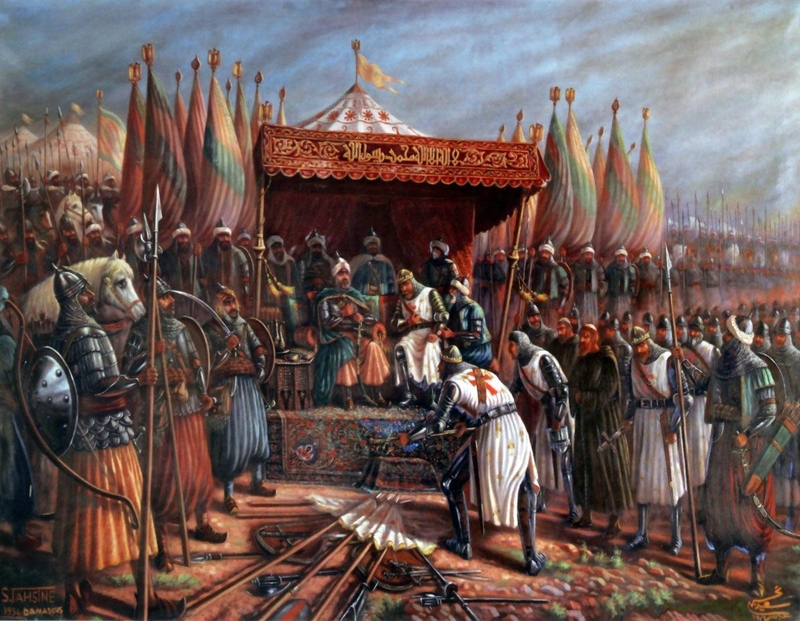 Lately I’ve been reading a lot about the Crusades, particularly their presence here in the Holy Land, after purchasing the phenomenally written book “The Crusades” by Thomas Asbridge. Unfortunately, even after reading about Château Neuf in the book, I didn’t realise that the Hunin Fortress was, in fact, the same castle. Regardless, this book has really fanned the flames of my interests in history – so much so that I’ve been planning trips to the numerous Crusader ruins yet unseen by my two eyes such as Le Destroit, Belvoir and Château Pèlerin. 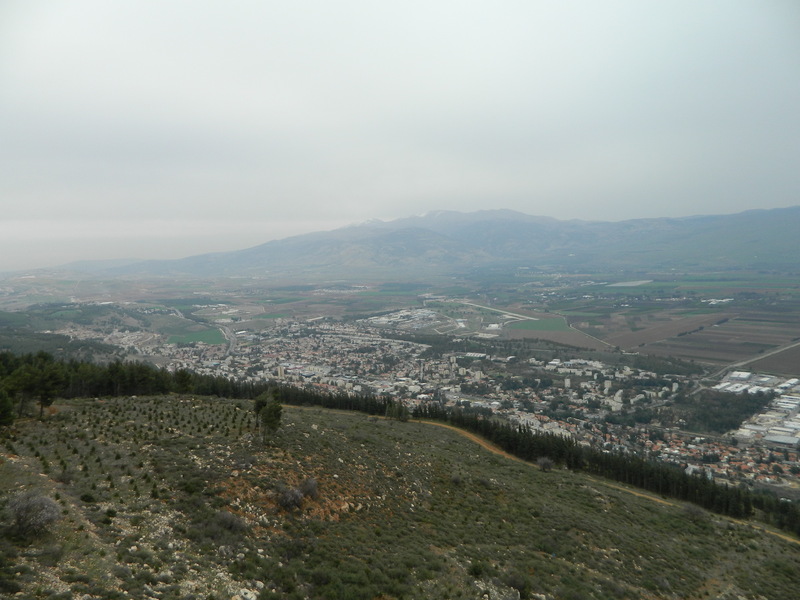 Following our stops at the Galil Mountain Winery and Tel Kedesh, my sister and I arrived at the upper parking lot to Manara Cliff – but not after a little look-see at the Hussein Lookout. 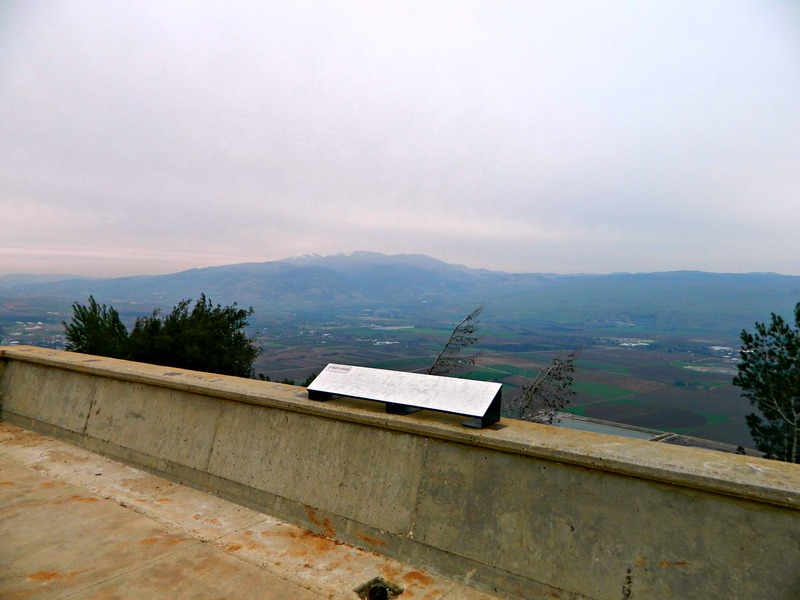 Named after fallen Israeli lieutenant colonel Hussein Amar, a battalion commander in the Golani Brigade, the lookout over the Hula Valley was established and dedicated in his memory following his death in battle in 1996. 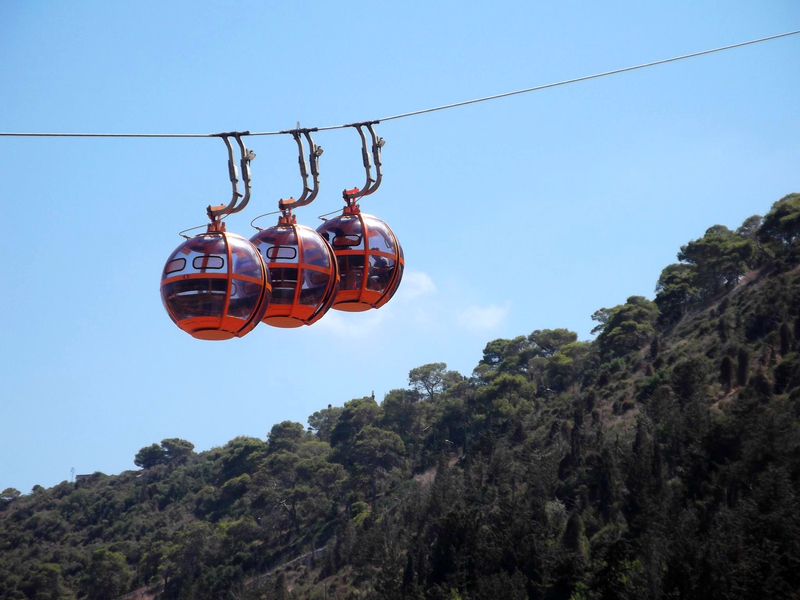 When the cable-car made its way to the top we hopped on – quite literally – and down we went. At first we descended quickly but then it slowed down, the majestic beauty sprawled out the scratched glass windows. Such a long ride it was that there was even a halfway stop, where attractions such as rapelling are to be enjoyed. 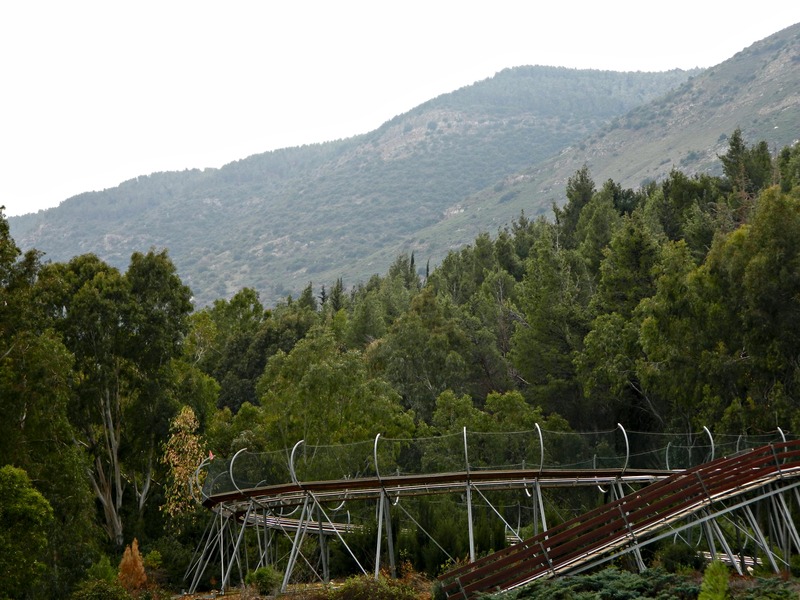 We stayed put and kept descending until we hit the bottom, basically in Kiryat Shmona – about a ten minute ride. 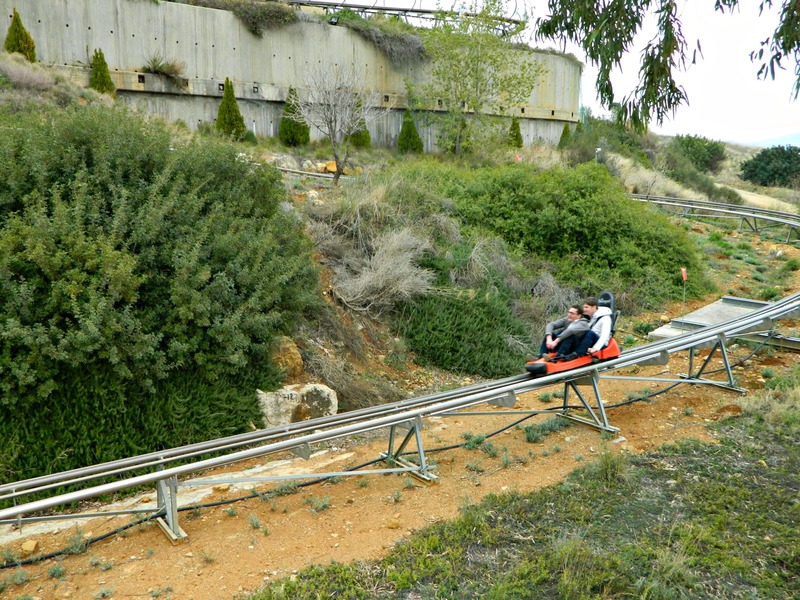 As we dropped down the last hundred feet or so, we watched screaming Yeshiva boys riding these little railed sleds along the gentle mountain slope. With that checked off we hopped back into the cable-car for the calm ride back to the top. On the way, I noticed something funny, kestrels (small birds of prey related to falcons) perched on the wires, scouring the ground as they rode up and down the cliff, an effortless alternative to hovering in the air searching for prey. 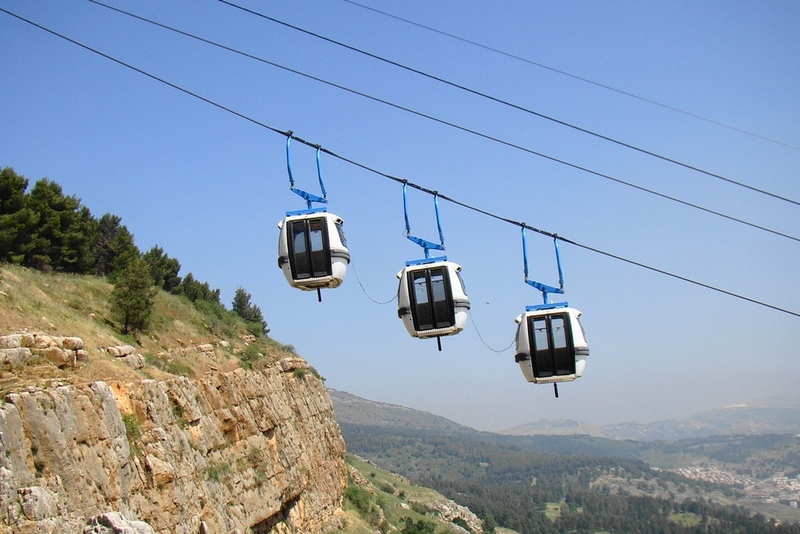 At last, we cleared the final ledge of the Manara Cliff and our cable-car slid into the station. We exited and then subsequently exited the park, heading for our next destination – the ruins of Hunin Fortress (or Château Neuf, as the French Crusaders called it).